Growthdeck | Eyewear – an industry to look out for? predicted by 2023. For those that didn’t see this coming, it’s time to polish off your spectacles as we take a look at the journey and future of an industry that has seen it all. Once a sleepy market characterised by the “older generation” and NHS frames, the eyewear industry has transformed and is experiencing phenomenal growth, with a 44% CAGR predicted by 2023. For those that didn’t see this coming, it’s time to polish off your spectacles as we take a look at the journey and future of an industry that has seen it all. Eyewear wasn’t always the glitz and glam it is today. Prescription glasses were seen as a burden and sunglasses a luxury – the average person didn’t want one, and couldn’t afford the other. Contact lenses were almost unheard of, and laser eye surgery was something reserved for a Thursday night on Tomorrow’s World. However, it wasn’t all bad. Eyewear has typically been a very profitable industry, with a captured audience and markups of 100% not uncommon. It is, perhaps, no wonder that Mary Perkins – the co-founder of Specsavers – is Britain’s first self-made female billionaire. These days, receiving a prescription isn’t the end of the world and buying a pair of sunglasses isn’t the end of your savings account. And what’s more, the eyewear industry is growing faster than ever before. So, what happened? More people wear glasses. We’re living longer, spending more time staring at screens and have easier access to affordable eye tests. We have also become educated about the damaging effects of the sun and the health benefits of wearing sunglasses. It’s no longer uncommon for someone to wear glasses and, accordingly, more people are buying glasses and entering a lifetime of paying for updated lenses and frames. Along the way, function and style have combined to make glasses a fashion accessory. Once strongly affiliated with a certain “intellectual” look, both glasses and sunglasses are now regularly seen on the catwalks, pushed by fashion blogs and endorsed by celebrities. Not only are more people buying glasses, but more people are investing in glasses as a fashion statement – one that, like clothes, many like to update regularly. The growth of eCommerce has also changed the eyewear game. Consumers can easily buy lenses and frames online, accessing a broader range of brands and styles than their local optometrist holds. Not only that but with lower prices and easy returns, it’s becoming far more common to invest in multiple pairs to cover their inevitable loss down the back of the sofa. Where is this all heading? 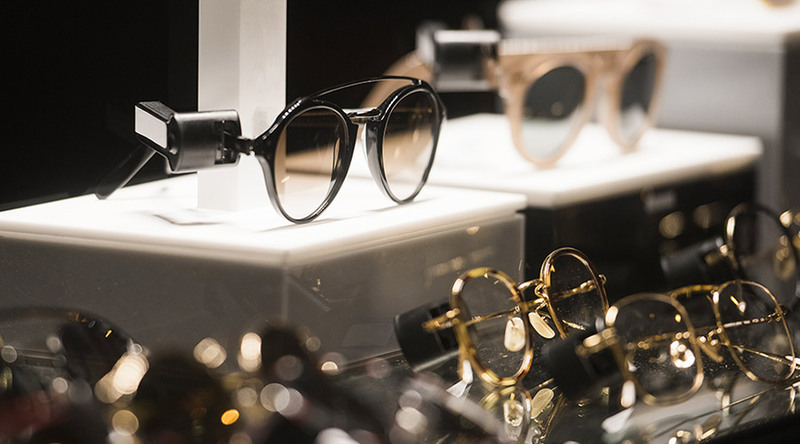 The global eyewear industry is expected to increase from $123billion to $177billion by 2023 – that’s a lot of space for growth, which isn’t surprising when you look at what’s in store for the industry. The UK subscription box market is expanding, with weekly and monthly deliveries of items ranging from food and makeup to razor blades and baking supplies. This is an interesting opportunity for eyewear brands, which can capitalise on wearers who like to update their style regularly. We’re already seeing early entries into this vertical, that offers an interesting way to increase customer lifetime value and secure regular spend. As the capabilities of 3D printing advances, so do the opportunities for the eyewear industry. Eyewear brands will be able to quickly produce fully customisable frames, with a tailored price tag attached. This will also make the production of glasses and lenses cheaper still – and so improve margins. Technology will change the future of eyewear. Expect to see glasses that change focus at the touch of a button; online vision tests and augmented reality making buying and trying glasses online even easier; and smart glasses telling us everything from what direction to walk, to whether you need to head back for an umbrella. Like most tech, these functions will be expensive but highly alluring for consumers. Finally, style and function will become increasingly important and versatile. New materials will improve functionality, such as lightweight frames for athletes, infrared and ultraviolet-blocking lenses for high-altitude climbers, and light-stabilising technology for mountain bikers. Acrylic frames, like those used by Kirk & Kirk, will further expand the colours available – enabling outfit-matching purchases for both prescription and non-prescription glasses. And celebrity and influencer endorsements will continue to push sales and profits for luxury eyewear manufacturers. Of course, there will be challenges along the way for the industry - ones that any interested investor should be mindful of. Fake and imitation brands are issues that are unlikely to fully disappear. However, well-founded brands, built with quality materials, are more likely to survive, especially with celebrity endorsement pushing the “real thing”. As the technology for eyewear develops, so does the technology for laser eye surgery. Becoming safer, easier and more affordable, the increased use of laser eye surgery denotes a decrease in prescription glasses wearers. This could be detrimental for eyewear brands focused on the need for glasses, but beneficial for brands focused on fashionable eyewear for prescription, non-prescription and sunglasses. eCommerce and technology can both transform and hinder the industry at the same time. Traditional optometrists and glasses brands that do not explore and exploit the opportunities of online sales and digital eye exams could be left behind, while brands that invest in online, fashion and wholesale sales could see tremendous growth over the coming years. Once described as “medical appliances”, glasses have completed a u-turn, evolving into something sleek, smart and trend-setting, with fashion-conscious followers who like to complement their personalities through their choice of frames. The eyewear industry is certainly one to keep a close eye on as customers, popularity and technology are predicted to increase sales and profits.